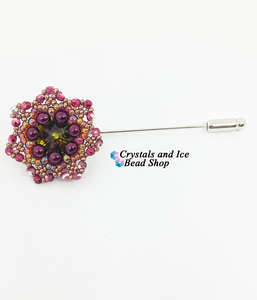 Jazz up your work or casualwear with a fashionable brooch pin that's equally at home on a winter coat or cardy or bringing personality to a work suit jacket! 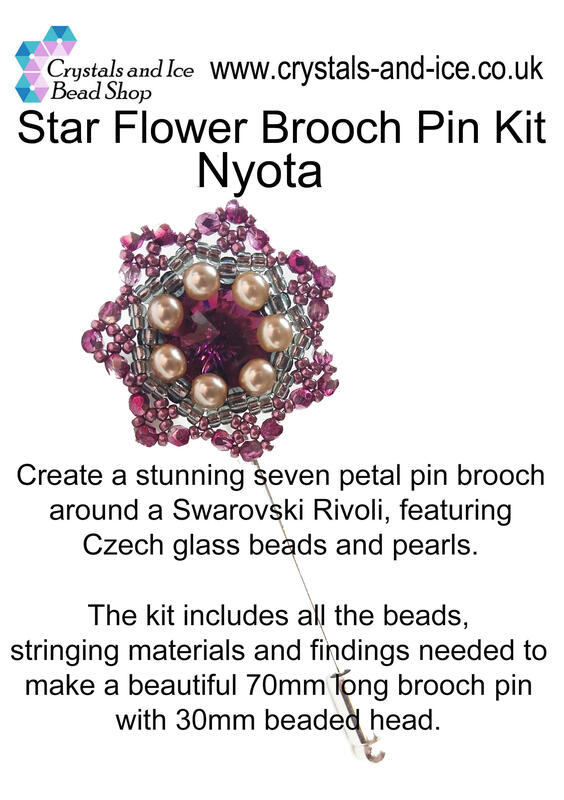 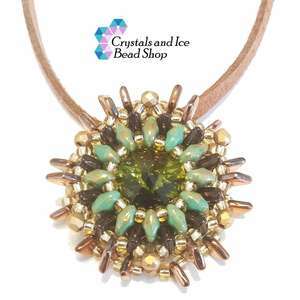 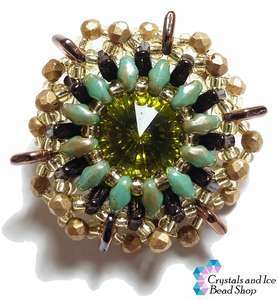 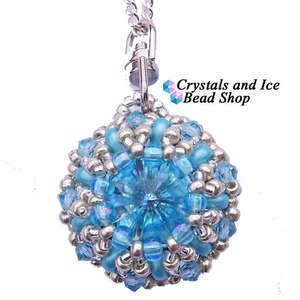 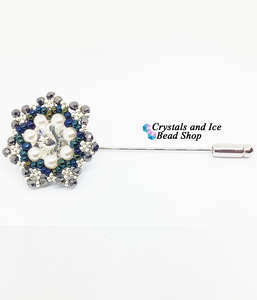 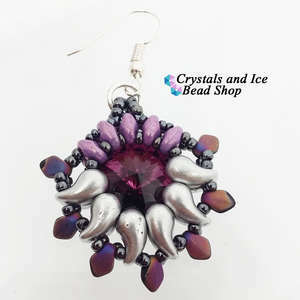 Create a stunning seven petal pin brooch around a Swarovski Rivoli, featuring Czech glass beads and pearls. 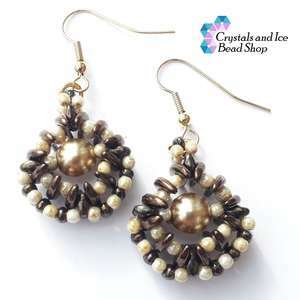 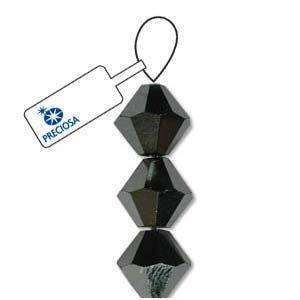 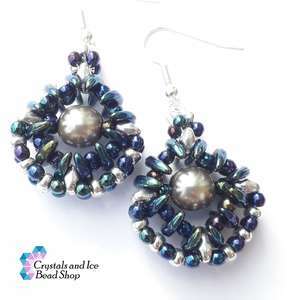 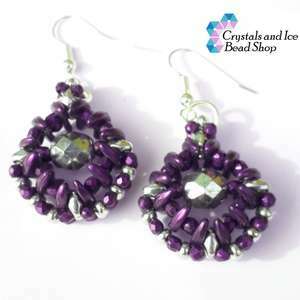 We've also gone a bit 'old school' and refrained from using any multi-hole beads for this kit, so if you're not a fan of two hole beads, then this one's for you! 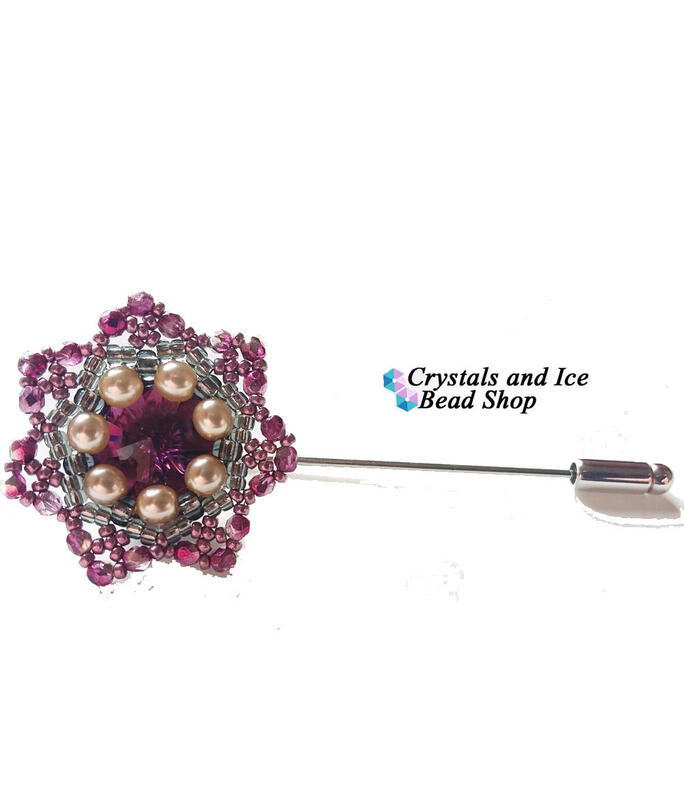 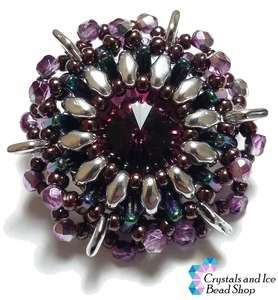 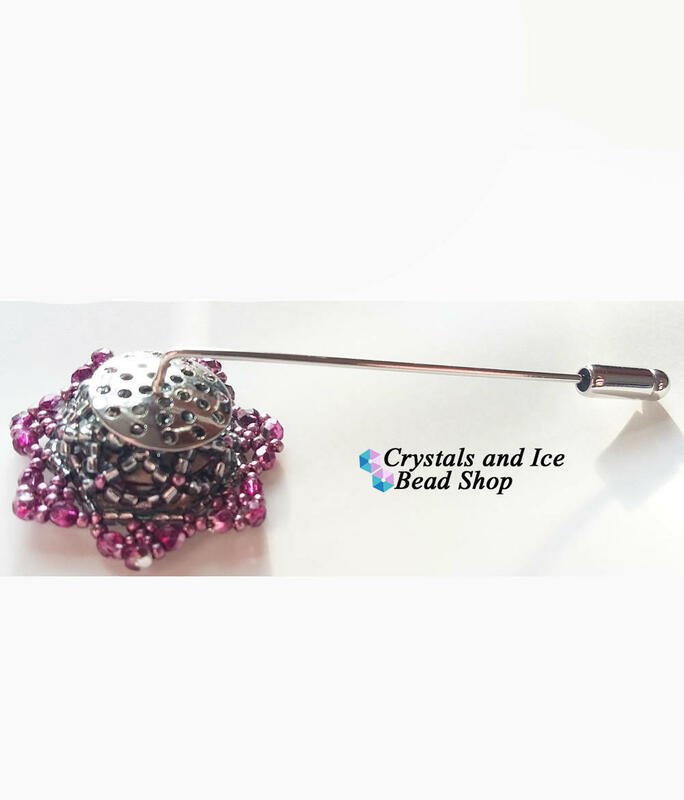 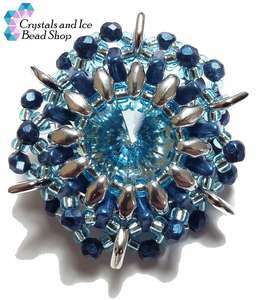 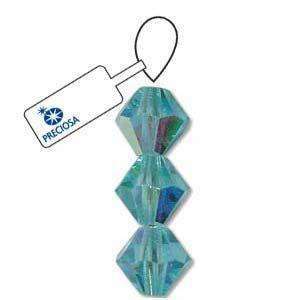 The kit includes full colour photo and written instructions, and all the beads, stringing materials and findings needed to make a beautiful brooch pin measuring 70mm long, with a 30mm round head.